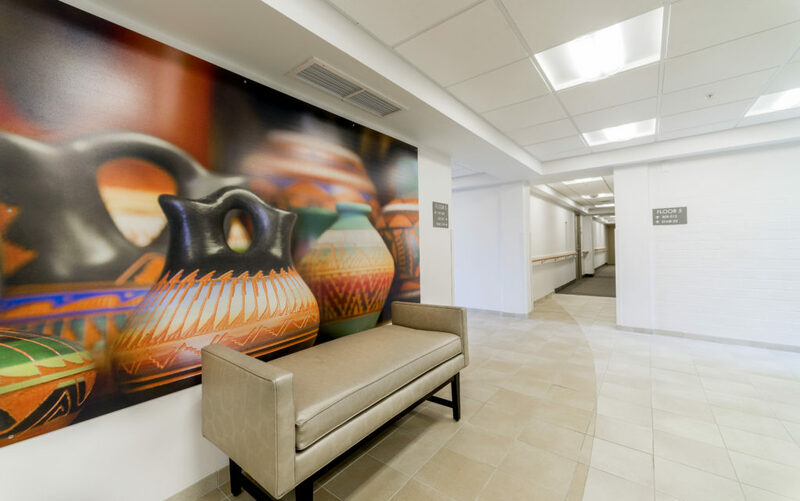 Miner Feinstein recently completed the renovation of the Arcola Towers Senior Apartment Building in Silver Spring Maryland. 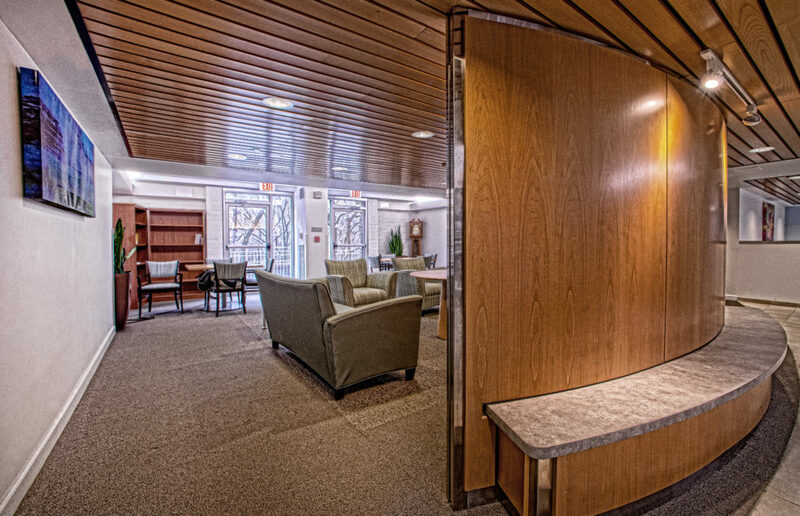 The renovation consisted of upgrades throughout, including a new entry canopy, the creation of UFAS (accessible dwelling units), modernization of all dwelling units and common spaces, and a new exterior communal garden enclosure, among other items. 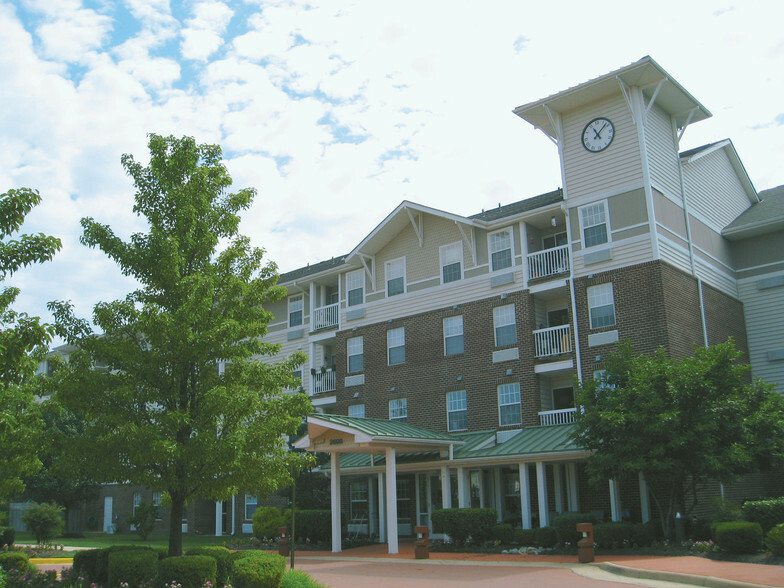 Like all HOC properties, the goal of the project is to maintain quality affordable housing options for Montgomery County residents while providing a modern, efficient apartment building that provides all of the amenities and conveniences that are available in the area. This renovation was conducted with the residents still living in the building. 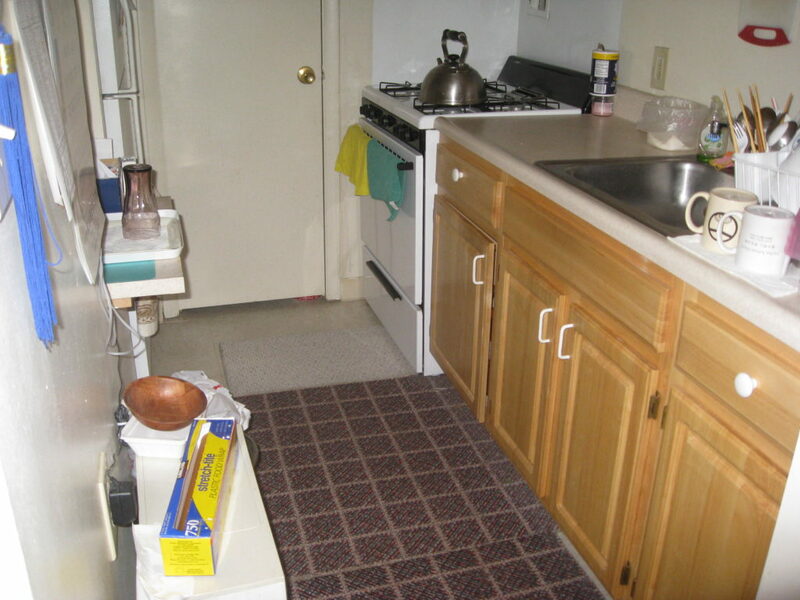 They were temporarily relocated out of their tier while the renovations to their units took place. 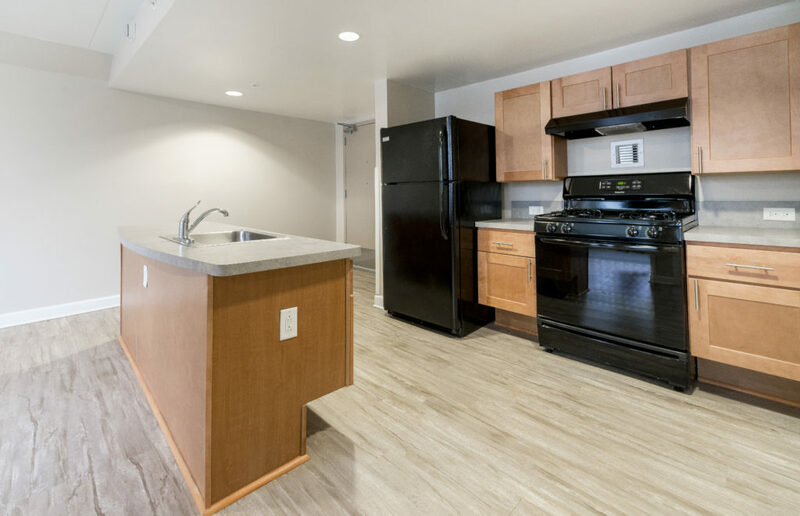 After which, they returned to their brand new unit, complete with a new open kitchen, all new cabinets and appliances, new floors and new bathrooms.